N.B. In case you hadn't guessed, this is not official artwork, of which there is none. 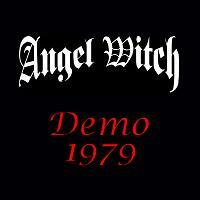 Angel Witch's demo is interesting as a piece of history - they've since come to more interest to the metal community as a whole, but it's their 1980 self titled which everyone likes. Although the demo tracks are available on re-releases of said album, they are remasters. Unfortunately, my mp3s have a horrid hiss over them on this, and I can't find decent versions.